Acer today revealed what it describes as the "first tablet running Chrome OS designed for education" -- the Acer Chromebook Tab 10 (or D651N). Featuring a 9.7-inch QXGA LED-backlit display with a resolution of 2,048 x 1,536 (264 PPI), the Chromebook Tab 10 is equipped with a Wacom EMR stylus to allow for easy writing and drawing. Although not available at launch, there is planned support for Google Expeditions AR, and Acer is hoping that the tablet will find its way into the hands of students of all ages. While this is hardly an iPad killer, that's not the point. Acer's offering is supposed to be a -- relatively -- cheap ($329) education-focused tablet, and with 9 hours of battery life, there's enough power to get through the school day and homework. This is not a powerhouse tablet: it's a functional piece of hardware for basic day-to-day things rather than a gaming machine. It is, after all, designed to help with school work at home and in the classroom rather than anything else. The announcement also, rather sneakily, gives Acer the chance to brag about having a tablet aimed at the education sector ahead of Apple -- with a cheap iPad expected to be announced tomorrow. 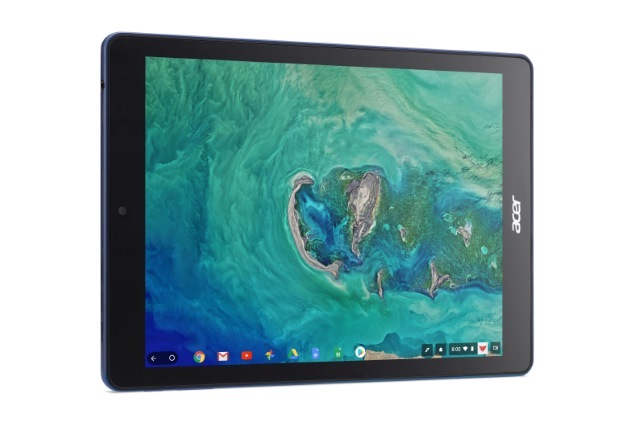 The Acer Chromebook Tab 10 combines advances in hardware and application support to enable more meaningful learning for an even wider range of K-12 students. The new Acer Chromebook Tab 10 encourages students to discover new ways of understanding the world around them. 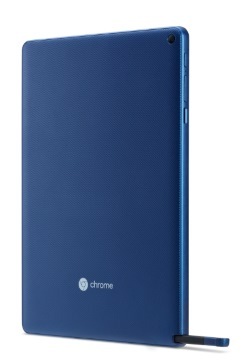 The tablet is available this month in the US for $329. It will also launch in Europe in May for €329, although Acer has not yet specified an exact release date for this region.